The flickering lamplight dances across the face of the storyteller. The small audience, huddled together to ward off the winter chill, sit and listen with fascination. The storyteller gesticulates wildly as the tale draws to a conclusion. Her arms create moving shadows over the walls, animating her narrative. The story is punctuated by gasps and murmurs of delight from the audience. She raises her arms one further time, then drops them. The story is now finished. The villagers retire to their beds, happy to have survived another day of bitter cold. Such scenes were common in Greenland during the long winter nights. On these nights many folk tales would be told. I'm sure each audience would've had their favourites. One story that may have been quite popular was "The Boy and the Fox". After some searching on the net I found a folk tale of the same name, but one from Sweden. I'm not entirely sure it is the same tale as that told in Greenland, but the theme is possibly similar. The story is about a boy who one day sees a fox sleeping nearby. Instead of admiring it for its wild beauty, he sees it in profit. Why, if he could sell it, he could buy a whole batch of rye seeds. He starts imagining caring for a field of rye. he knows the other villagers will be jealous. They will want to get into his precious rye. He would have to shout at them to get out! Without realising, he shouts out loud. The fox, suddenly alerted to his presence, darts away to safety. and away he went to the woods. from the tail of the fox. Between 1957 and 1969 Greenland issued a series of five stamps celebrating Greenlandic folk tales. 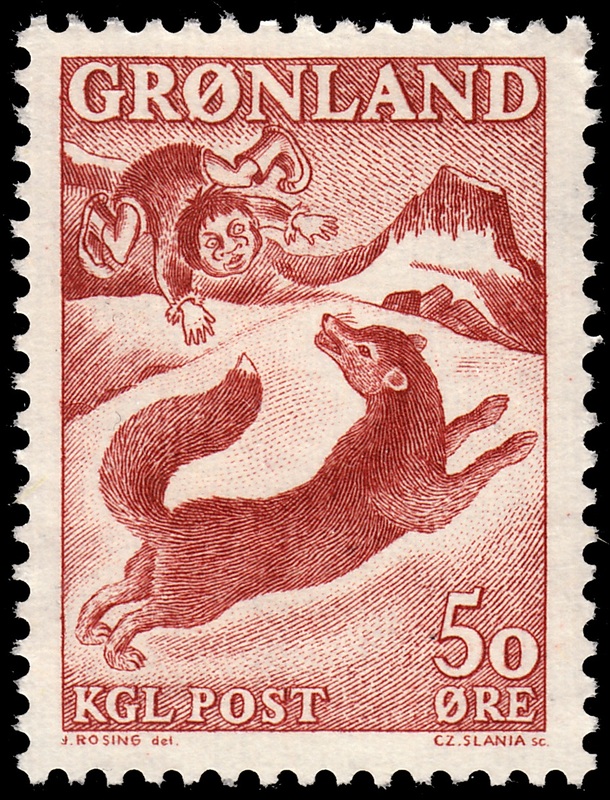 On 22 September 1966, the 50o value stamp depicting "The Boy and the Fox", was issued. This stamp was designed by Jens Christian Rosing, who designed some 150 stamps. And it was engraved by Czeslaw Slania. As I mentioned above, I'm not sure if the tale I found is the correct one, but the scene depicted on the stamp certainly seems to fit. In this delightful scene we see a boy, with a rather maniacal look on his face, about to pounce on a fox. The fox, it appears, has only just become aware of the boy, and is in the process of making off with all haste. What a great engraving! Funny story! Great engraving as always but also great design by Jens Christian Rosing! 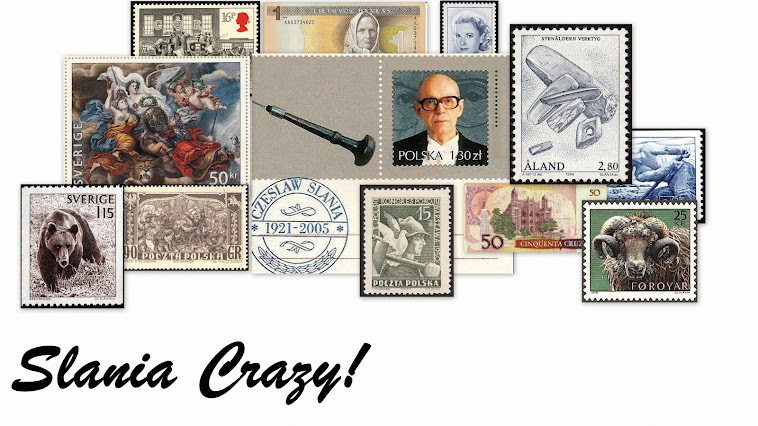 From year 1950 he has designed 150 stamps. He has characteristic technique. Howdy Keram! Yes it is a great story! And while compiling the info, I didn't end up adding the designers name, which I think I will now you've reminded me!